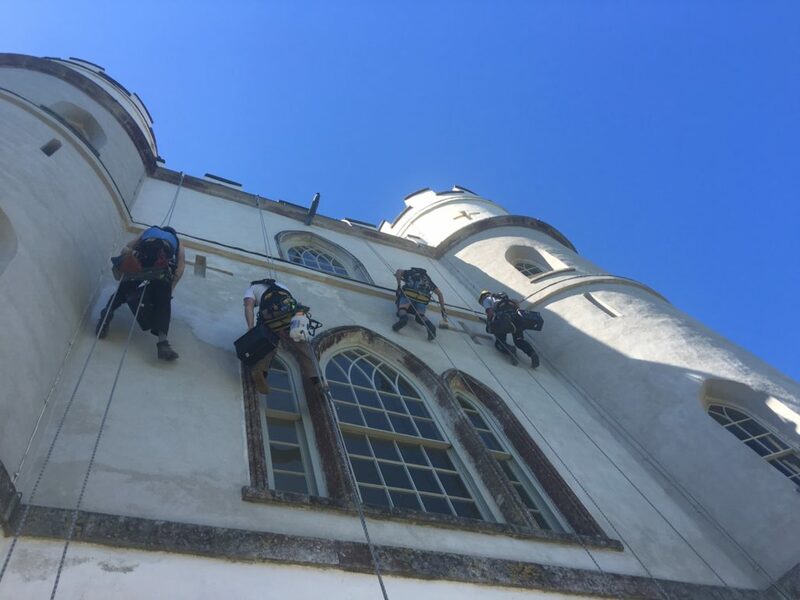 Redecoration and Repair of the external fabric of the 19th Century Belvedere. 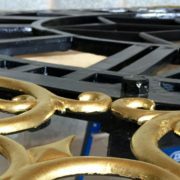 Restoring the three cast-iron clock faces and hands of the south, west and north elevations. 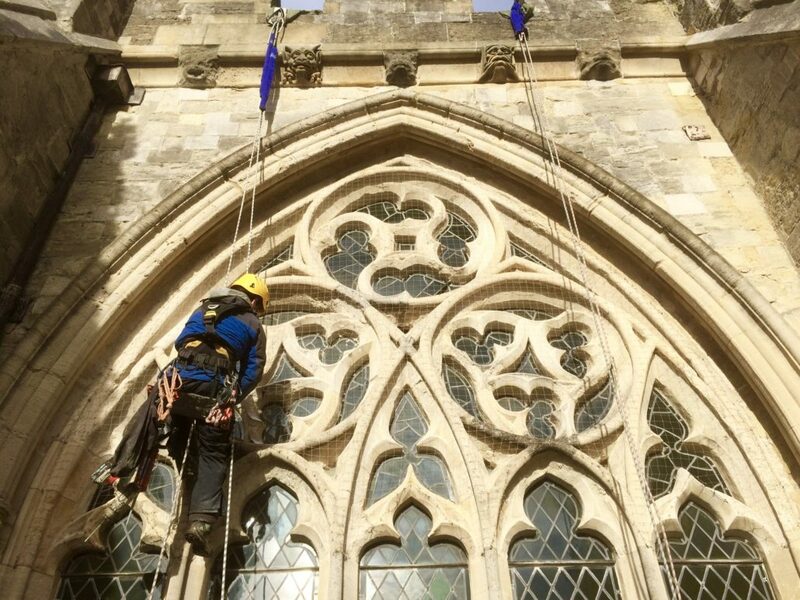 Masonry repairs and shelter coat to the belfry windows of the Abbey Tower. 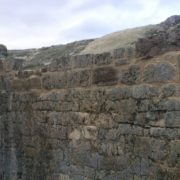 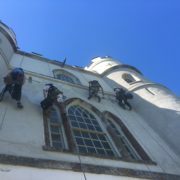 On-going repairs to the old castle walls. 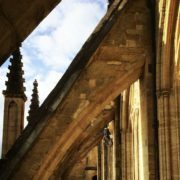 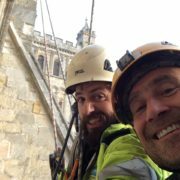 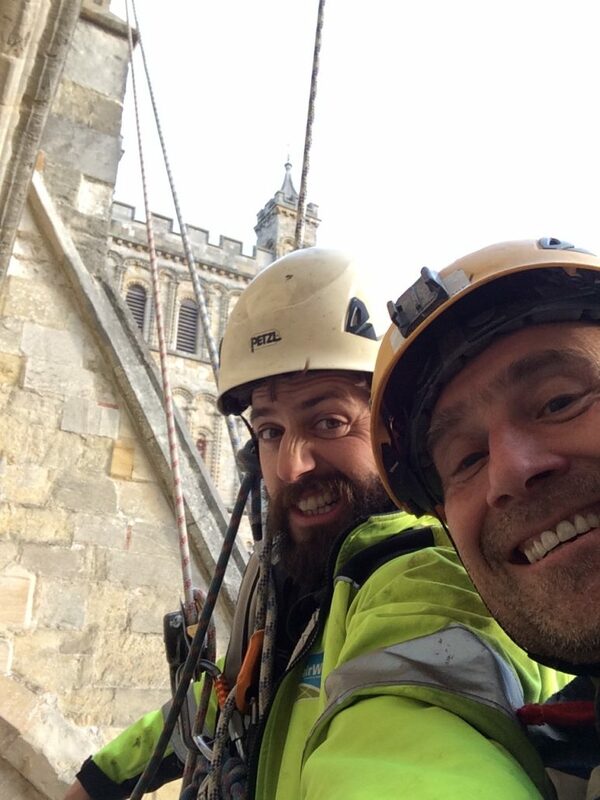 To undertake inspections of loose stonework and high level masonry repairs to the clerestory windows of Exeter Cathedral. 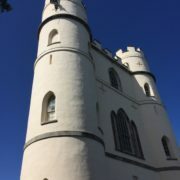 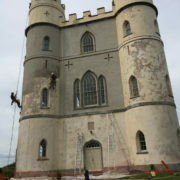 The masonry of the tower was consolidated and extensively repointed using rope access techniques. 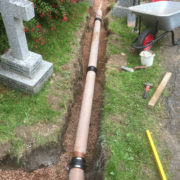 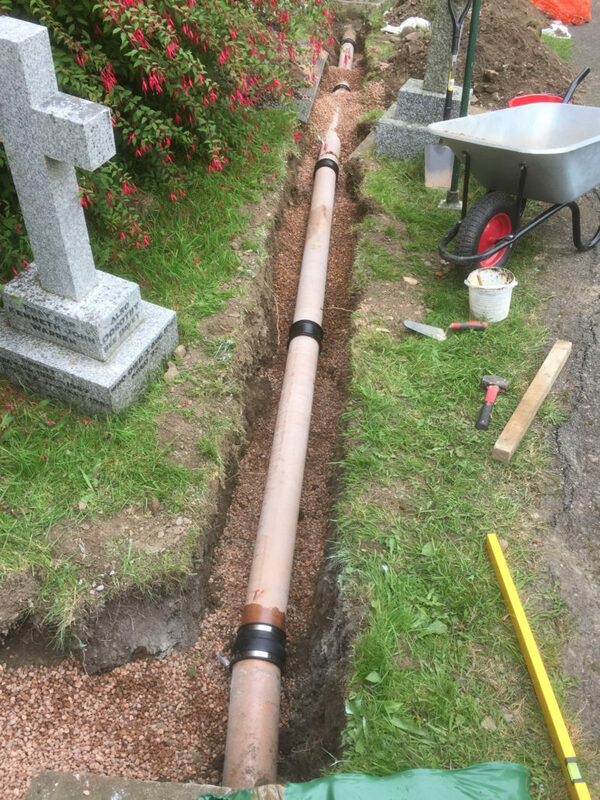 A new cast-iron down-pipe was added to the south elevation again using rigging and ropes, with ground works connecting it to the existing drains. 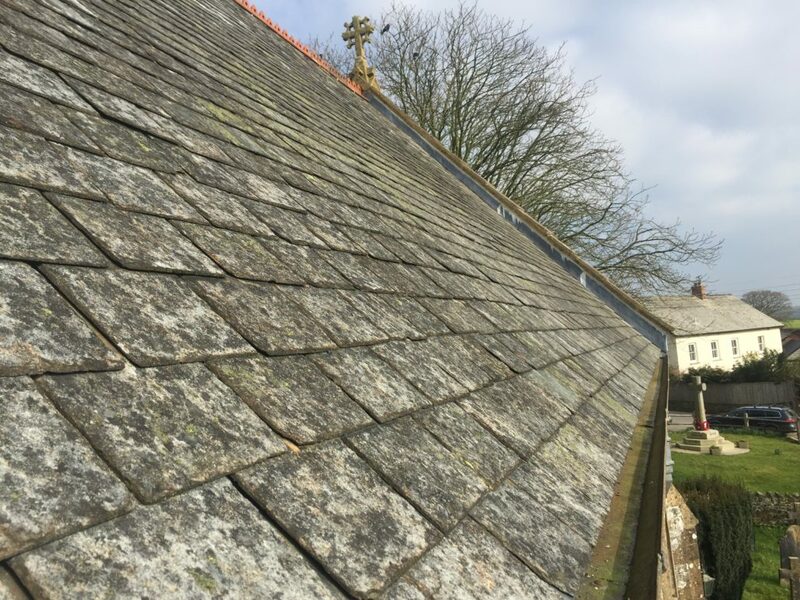 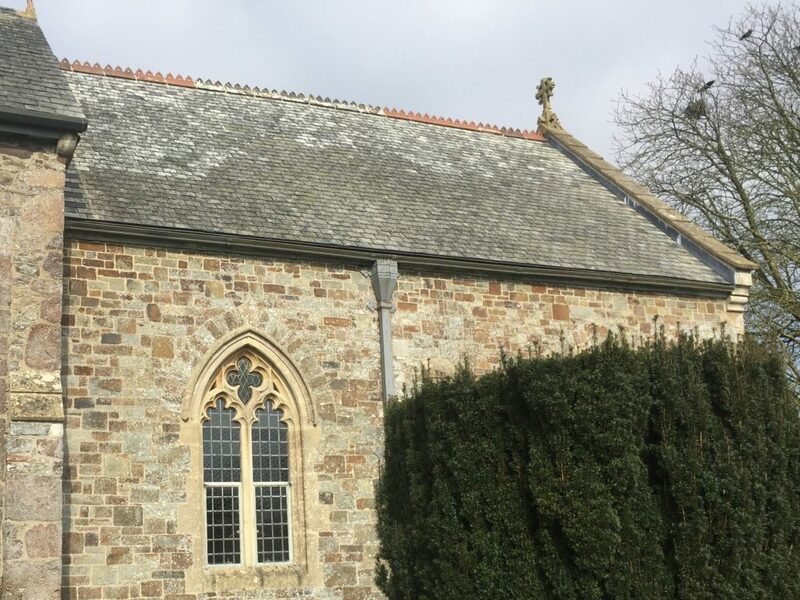 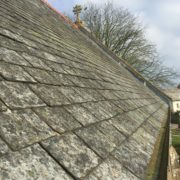 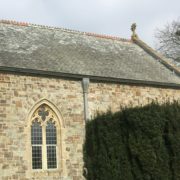 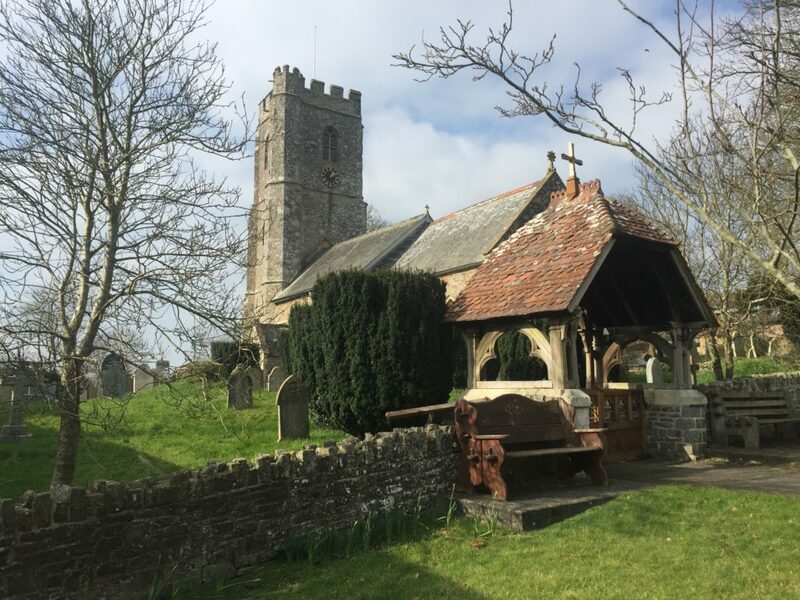 The south pitch of the chancel roof was re-slated using recovered slate from both pitches, while the north was repaired using new slate from the Trevillet Quarry. 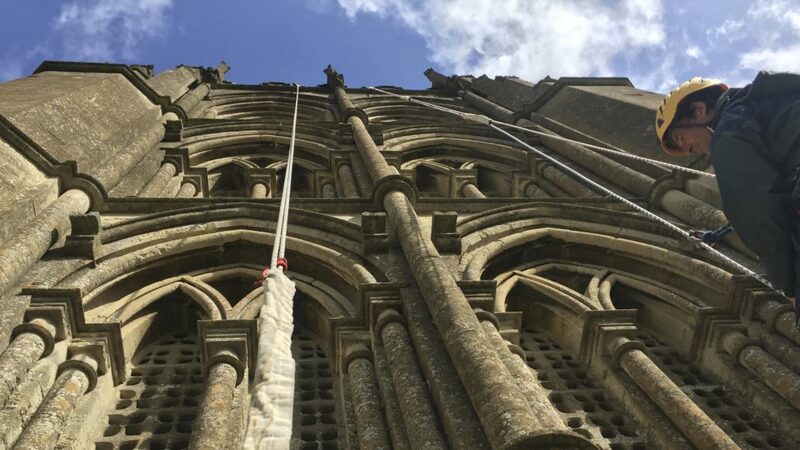 Due to the fragile internal ceiling, the new battens were set with stainless steel screws to minimise impact through the rafters and all lead soaker and cover flashings were replaced. 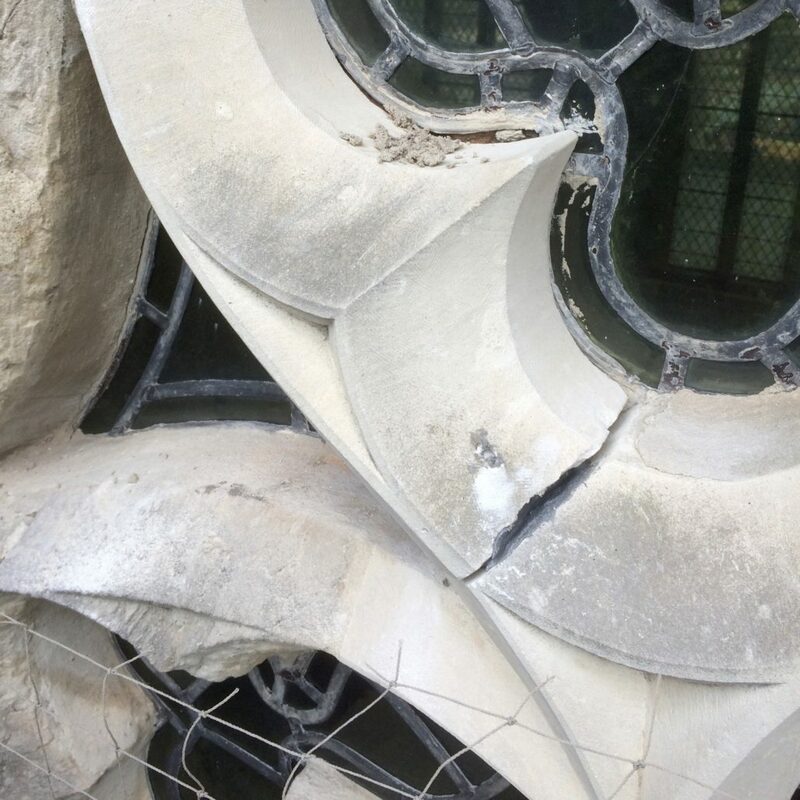 The Belvedere was suffering from flaking paintwork and cracks throughout the render. West Access Conservation removed all the loose and thoroughly prepared the surface and re-rendered where necessary, before externally redecorating the entire building. 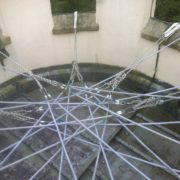 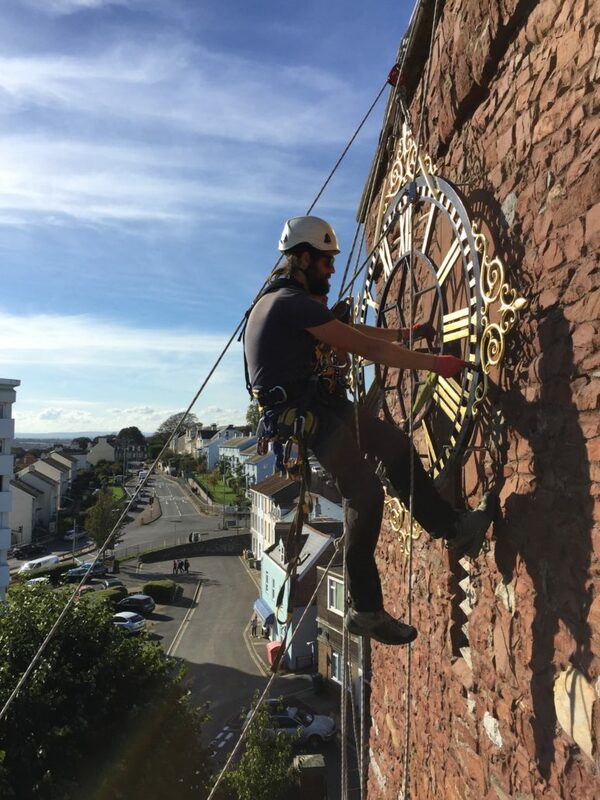 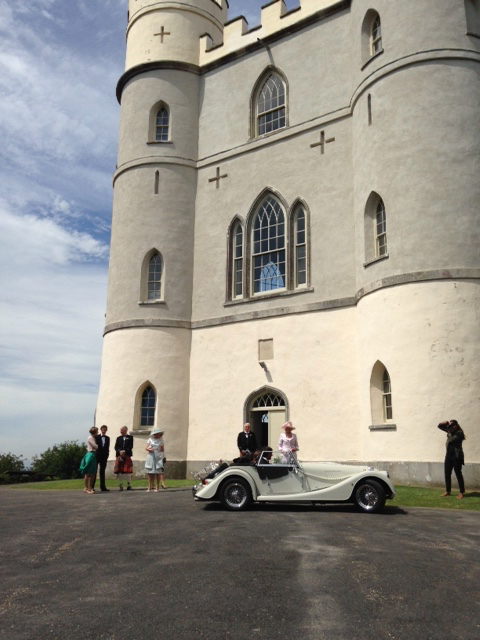 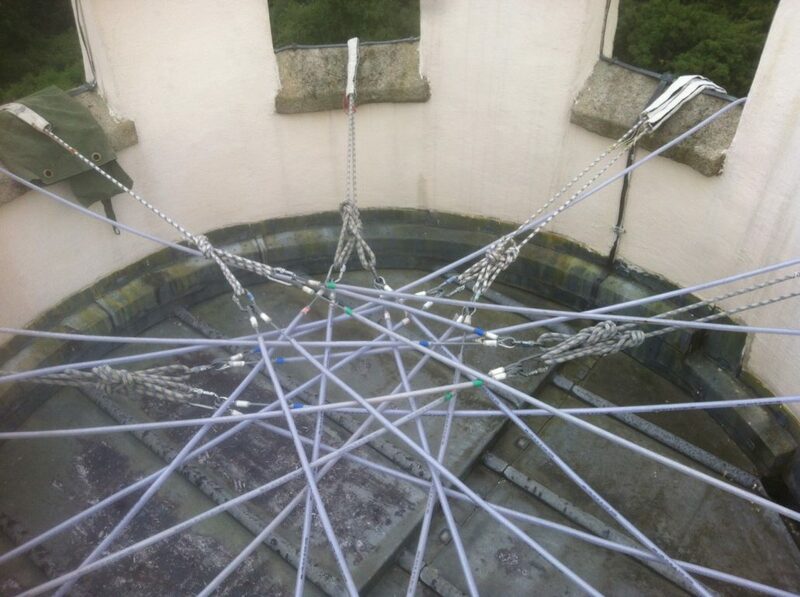 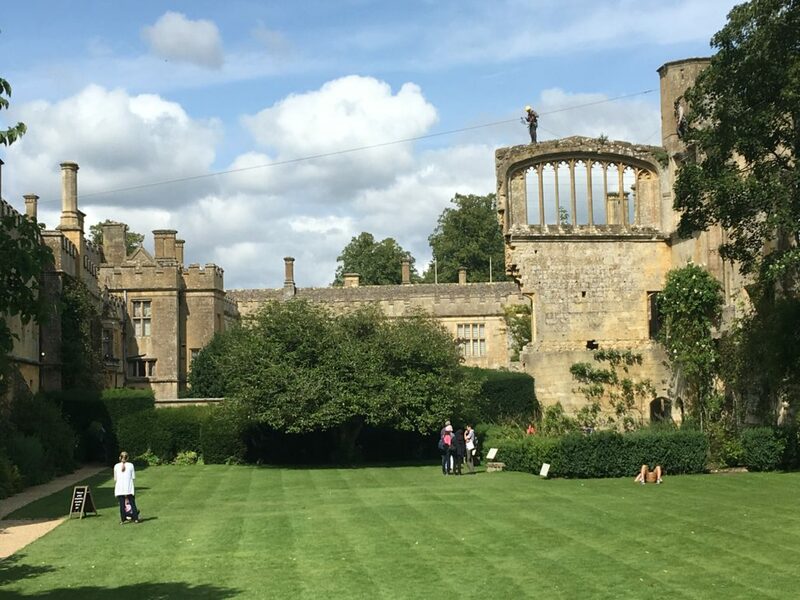 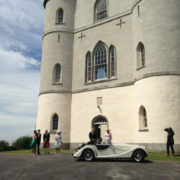 The whole project was undertaken using rope access to allow the building to continue to be used as a wedding venue. 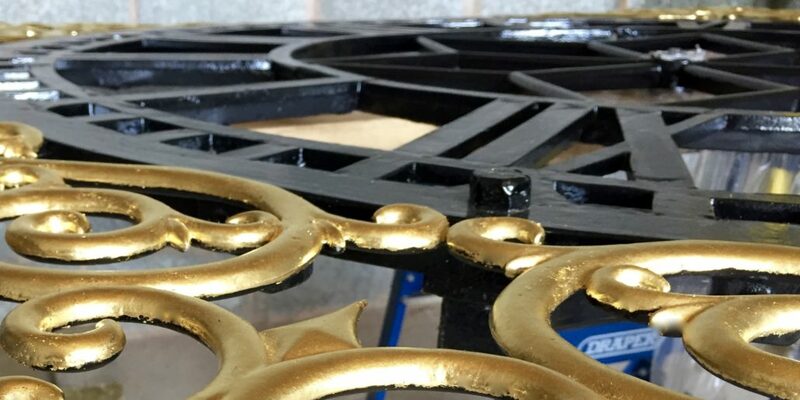 Restoring the three cast-iron clock faces and hands of the south, west and north elevations. 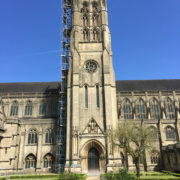 They were removed to the workshop for shot blasting, painting and regilding before reinstating – all to be done using rope access techniques. 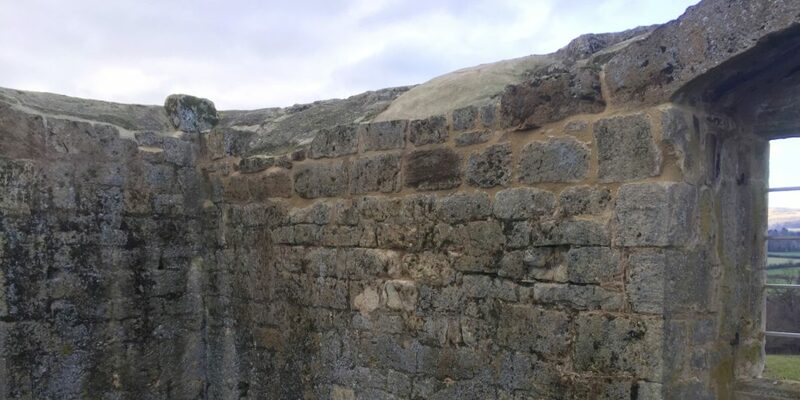 The original ferrous brackets securing the dials to the walls had corroded, fracturing the adjacent masonry. These brackets were removed and the masonry repaired before being lifted onto new stainless steel anchors set in resin. 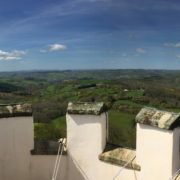 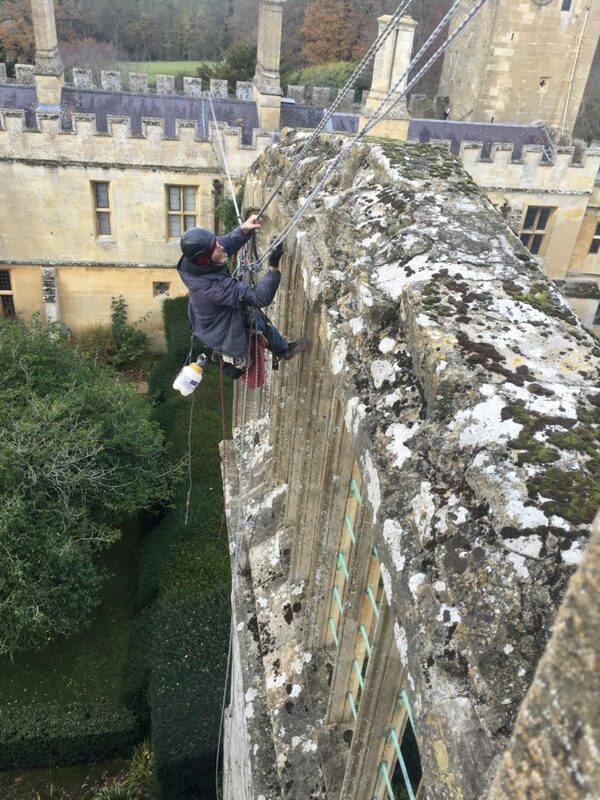 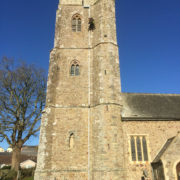 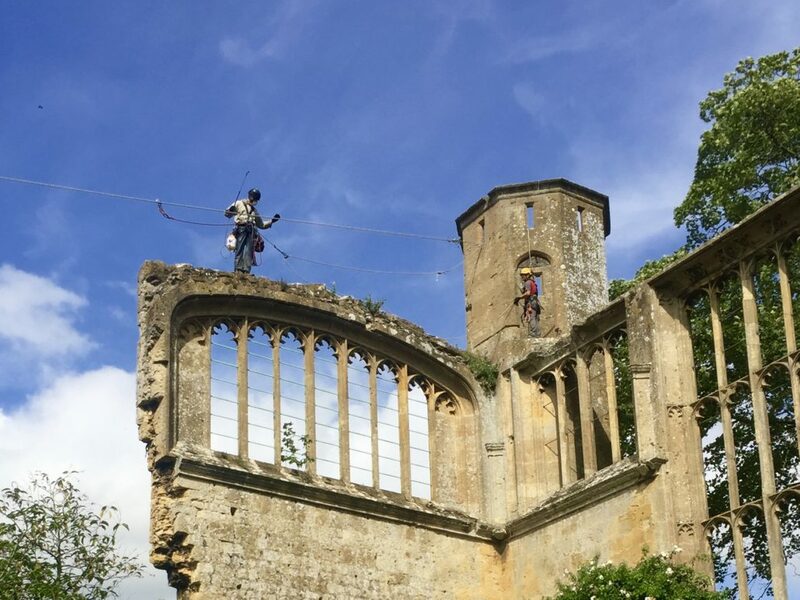 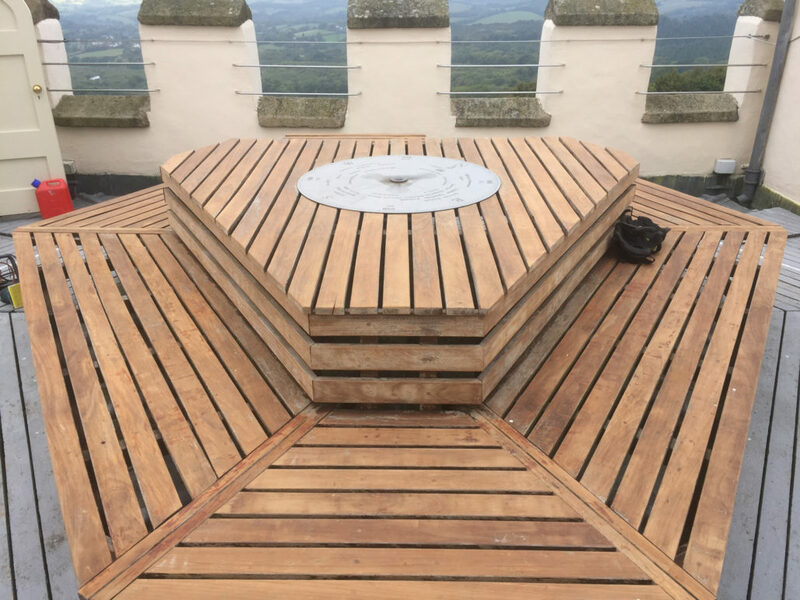 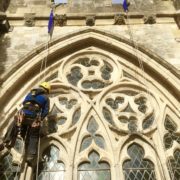 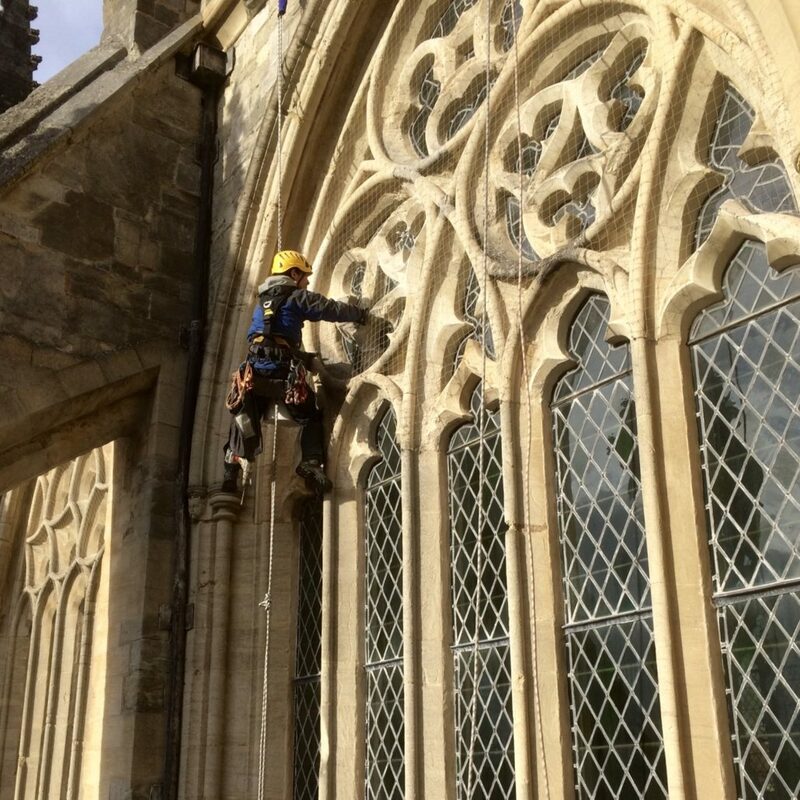 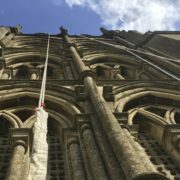 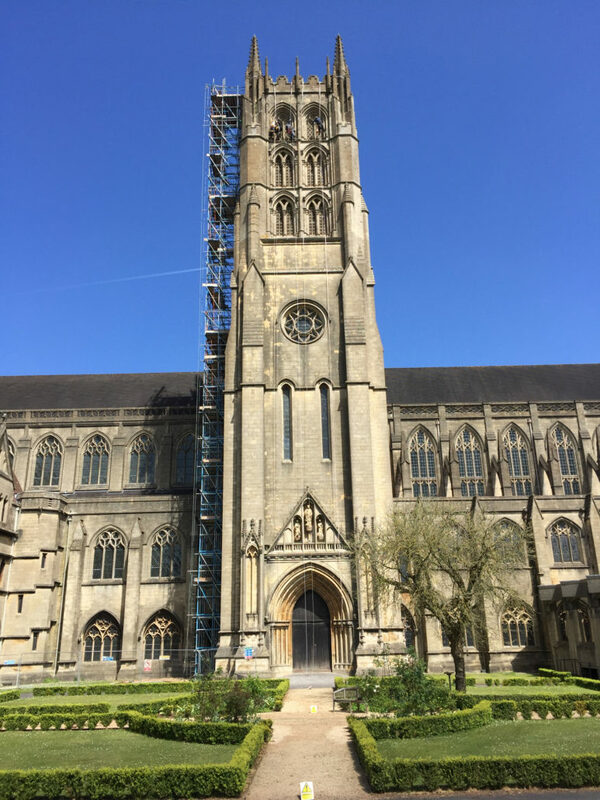 We were asked by Ellis & Co. to undertake repairs to the belfry windows of the 150ft Downside Abbey Tower.The west elevation was scaffolded, but rope access allowed more cost effective access to the other three sides. 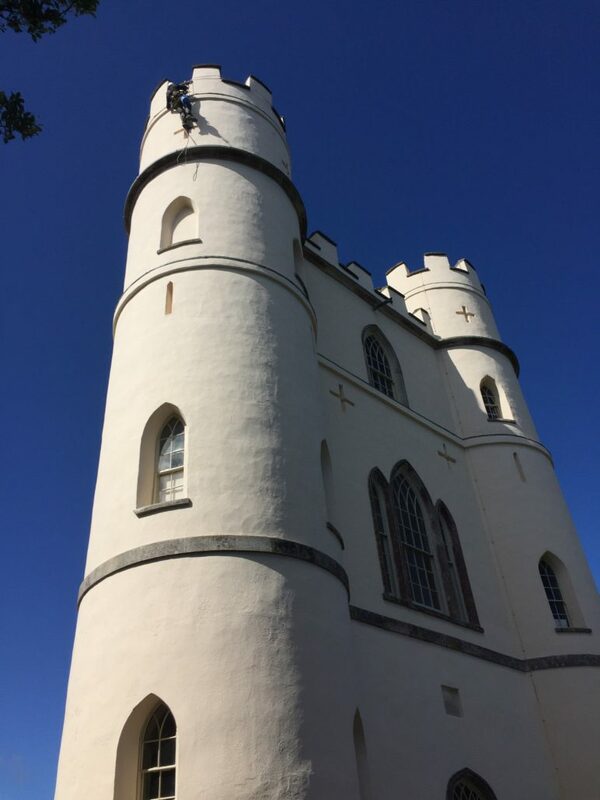 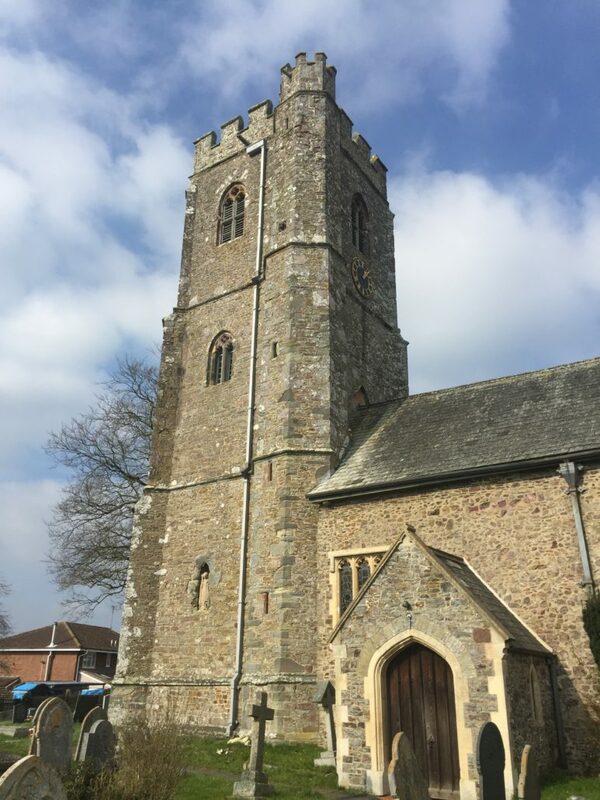 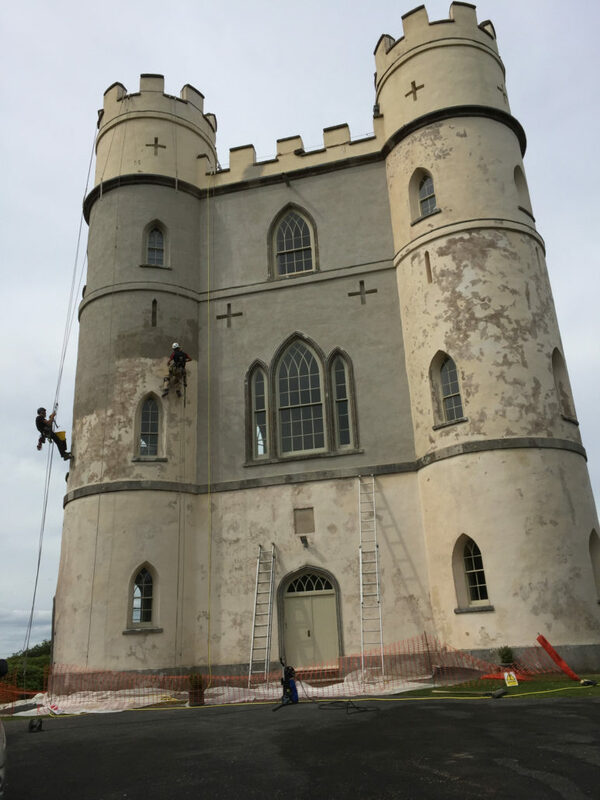 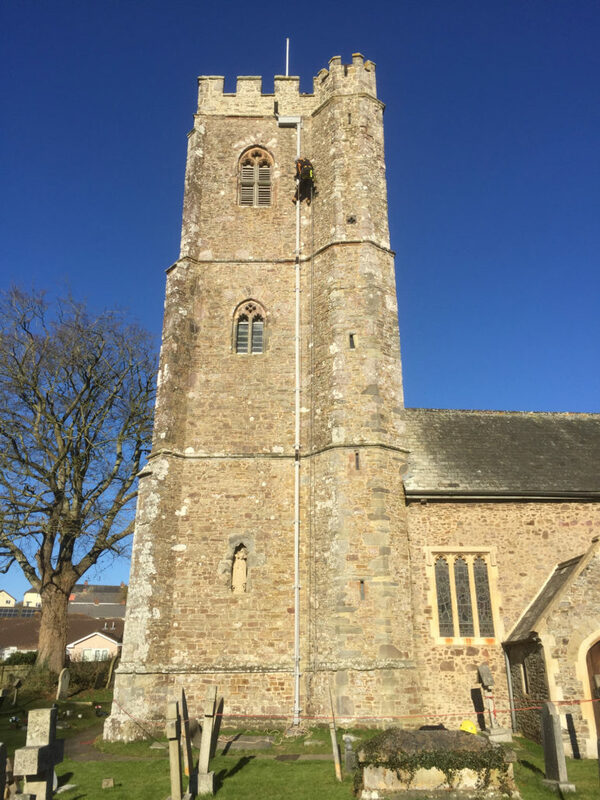 After first, surveying the tower and identifying the issues, we conducted masonry repairs, repointing and then applied a shelter coat to further protect the masonry. 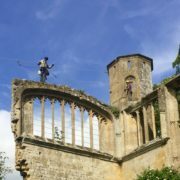 We were initially asked to remove some of the vegetation growing on the 15th century ruin walls of the Great Banqueting Hall. 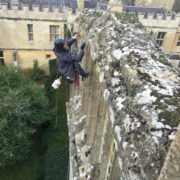 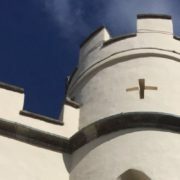 This has lead to an on-going program of masonry repairs, repointing and general conservation work of the oldest parts of the castle. 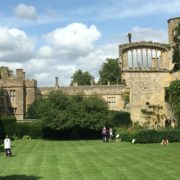 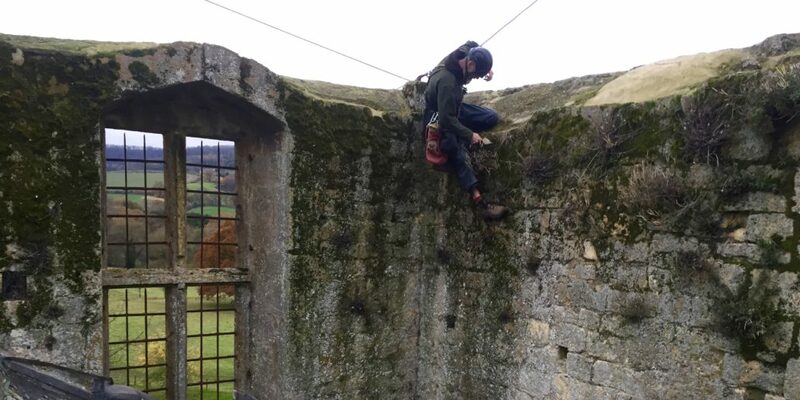 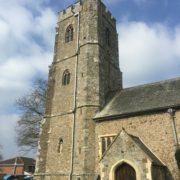 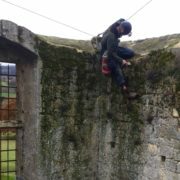 “West Access Conservation are helping us with an on-going program of vegetation removal, repointing and stone repairs to our 15thÂ century Great Banqueting Hall ruins and the Dungeon Tower. 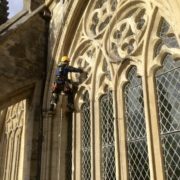 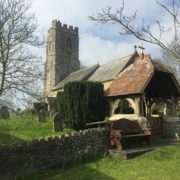 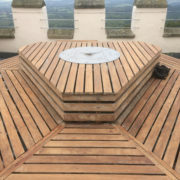 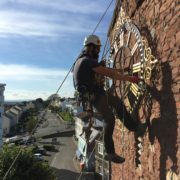 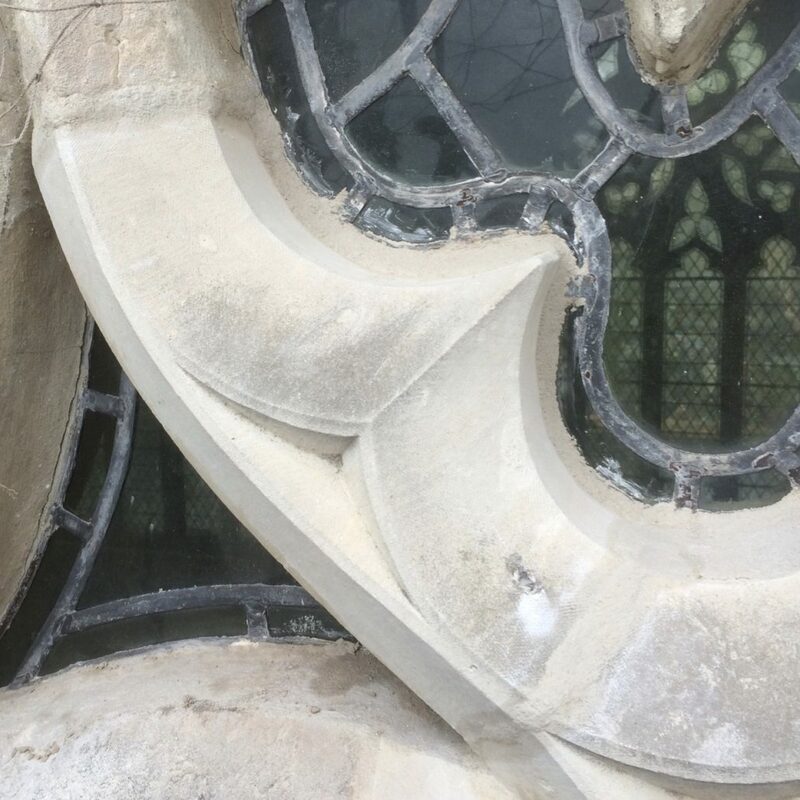 We have found them to be knowledgable when dealing with the historic masonry and the quality of their workmanship shows we can trust them with good conservation practice.